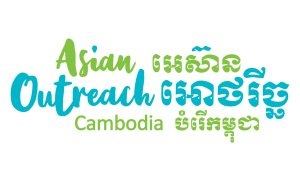 Since October 2017 Asian Outreach Cambodia has started raising up community based savings groups (CBSG) in Stung Treng Province. Our research and experience showed us the increasing issue of farmers borrowing money from micro-franchise groups to fund their farming ventures. However due to climate change, weather and local markets, many farmers could not afford to repay the loans and forfeited their land. The CBSG’s are focused on gathering farmers together for the purpose of saving and lending money within the group. They elect a chairperson and treasurer, decide on loan interest rates and repayment schedules. AOC helps facilitate this by providing the basic framework for the group, a metal box for documents, calculator as well as books and pens. We do not provide any capitol startup or investment into the group. The group then decides when to meet together and how much they should save per month. When their savings have reached a suitable amount, they decide who can borrow funds for what. Typically group interest rates are around 1.5 to 2% of the outstanding amount per month. Bunthouen is our CSBG AOC staff member and so far he has started three savings groups with a total of 43 members. All groups are operating well, saving and lending and growing their overall funds. In 2019 we plan to start a further eight groups in Stung Treng. In addition to helping form groups, we provide basic agricultural training and business training.